As we push forward into our capitalist industrial future, we’re creating plenty of things to make our lives easier, but at the same time we’re breeding entirely new problems. The only way to solve them is with entirely new ideas and capitalist sponsorship. Enter Tiger Beer and Air-Ink – the world’s first ink created from air pollution. This new initiative is starting to get some major exposure for Anirudh Sharma, inventor of Air-Ink and co-founder of Graviky Labs, through collaborations with emerging artists from around the world. Believing that the best ideas are often born on the streets and not in corporate boardrooms, Tiger is kicking off its global Air-Ink initiative on the streets of London before continuing on to Berlin, New York and Singapore. 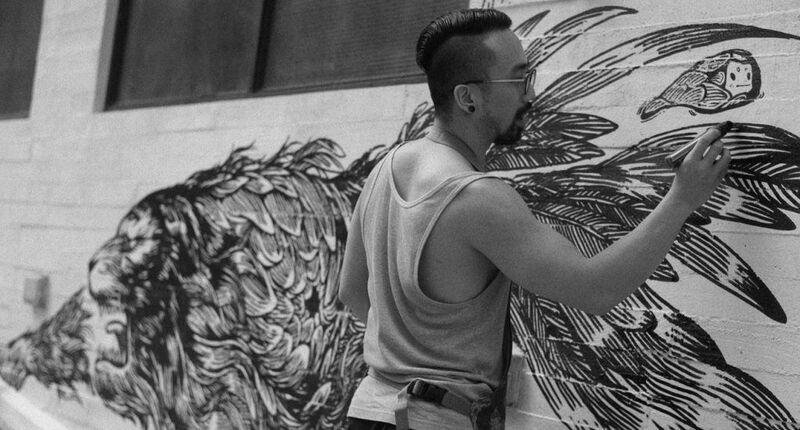 Demonstrating the power of creativity with purpose, resident artists will transform pollution into beautiful Air-Ink artworks, symbolising a bright future for our cities’ streets, and inspiring others to take action. “Tiger Beer believes in supporting people with brave ideas, and partnering with them to uncage their tiger spirit to create awareness and positive change for issues affecting our communities… By bringing artists and inventor together, we turned the world into a canvas for Anirudh’s message in a beautiful and transformative way,” says Mie-Leng Wong, global director at Tiger Beer, Heineken Asia Pacific.